Arsenal have reportedly asked Monaco about a potential loan transfer swoop for Youri Tielemans, but face competition from two Premier League clubs. The talented Belgium international has long been rated as one of the brightest prospects in Europe, known for his superb box-to-box abilities in midfield. In a surprise development, it could be that Arsenal manage to get him on loan from this struggling Monaco side, with West Ham and Newcastle also enquiring about him, according to Sky Sports. Despite the 21-year-old’s stock seemingly falling due to being part of this dysfunctional Monaco team, it would no doubt be exciting to see him in the Premier League. Tielemans looks to have the raw ingredients to star for a big club, and could be a great fit for Arsenal. The Gunners need more quality in midfield after the struggles of players like Granit Xhaka and Mohamed Elneny, while Aaron Ramsey is closing in on becoming a free agent at the end of this season. 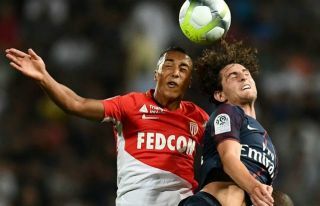 It remains to be seen, however, if Monaco can be persuaded to let a key player go in the middle of this difficult season.